I think they would look better with just the Oric logo. I would really hate to think that the logo is the one I designed... Because it looks like it. 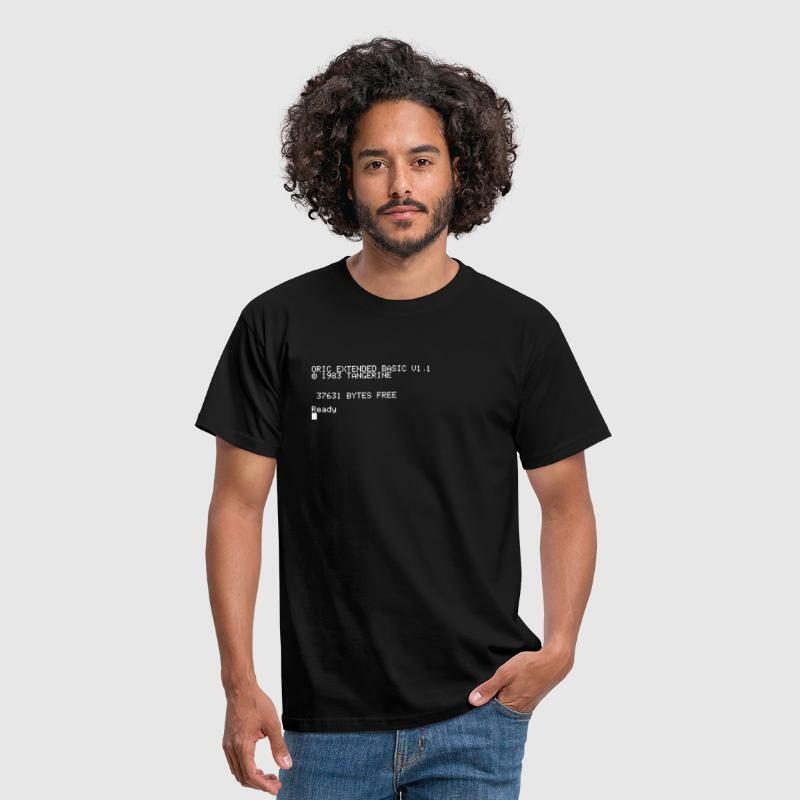 You would have to pay me to get a T-shirt on eBay rather than from a more reputable place such as https://www.teepublic.com. This is where that eBay guy stole the image from. https://www.ebay.com/usr/sportingprofil ... 7675.l2559 for other retro t-shirts he is selling. Conclusion: go to teepublic or other t-shirt shops and get them done yourself. At least you are sure to get good quality results. About the logo I think it really looks very similar to the one you designed Chema, but the letter 'R' is kind a different. Else for me the Oric Atmos picture is definitely this one: https://de.wikipedia.org/wiki/Oric_Atmos. Meh .. we can easily out-do these t-shirt designs within our community. I'd love to have a Blakes 7 shirt, and I've often thought, when observing the splash-screen animating, that it would be cool to get Twilightes' logo on a t-shirt, sort of to remember him by. Point is, lets make t-shirts. Hey, that one is nice! Haha robcook, that is actually a great t-shirt .. I'd wear that with pride too. Nice t-shirt indeed. Good idea! Ahaha, nice one. I would wear that too. Does anyone know if they're still available somewhere?